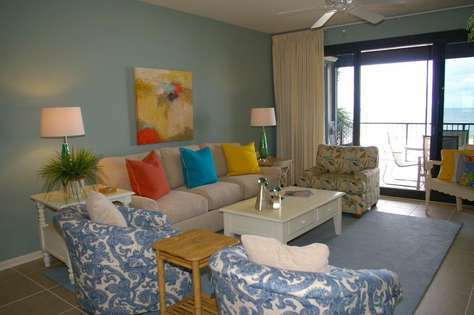 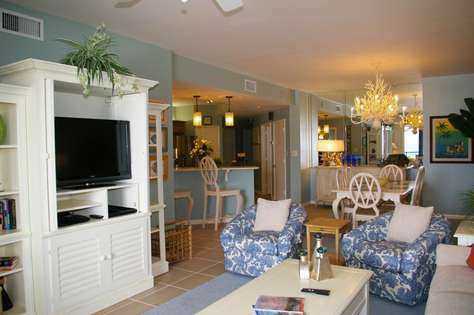 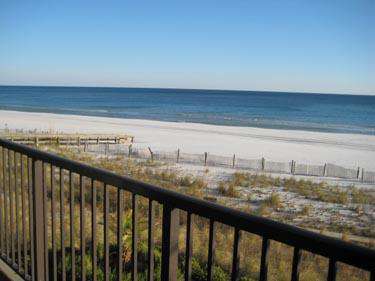 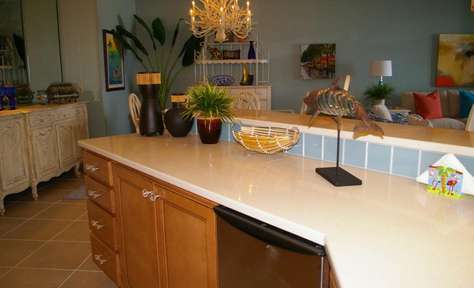 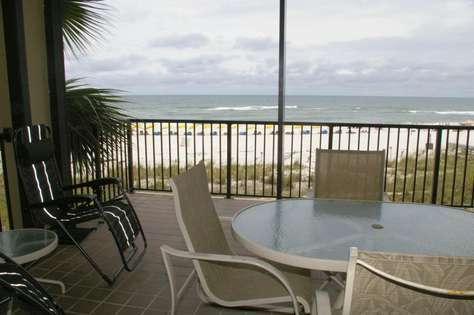 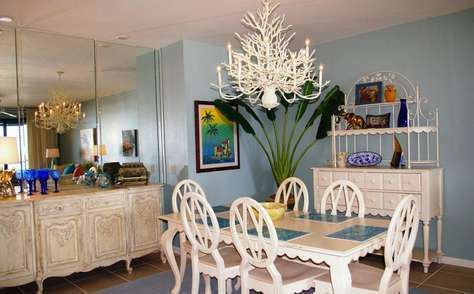 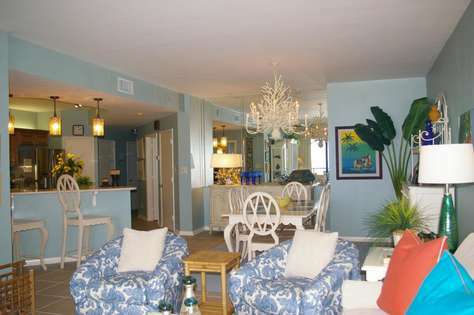 Romar House 205B is a spacious, three bedroom condo with a large balcony directly overlooking the Gulf. 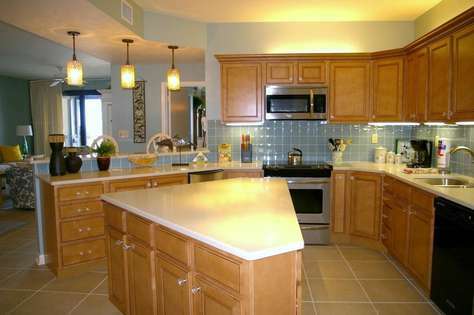 The full size kitchen includes stainless steel appliances, siltstone counter tops, beautiful pendant lighting, maple cabinets, and glass tile back splash. 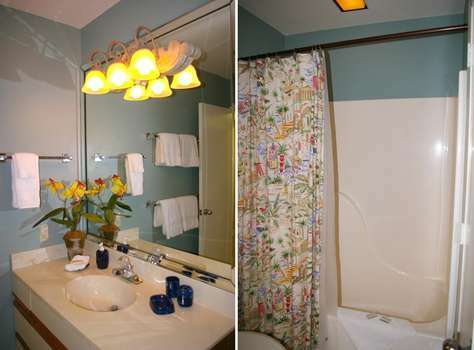 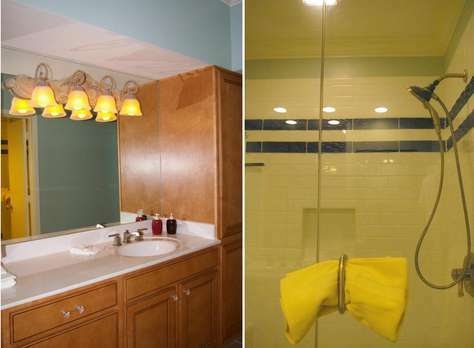 The master bath has been updated with new cabinets, comfort height toilet, and a tiled walk-in shower with bench. 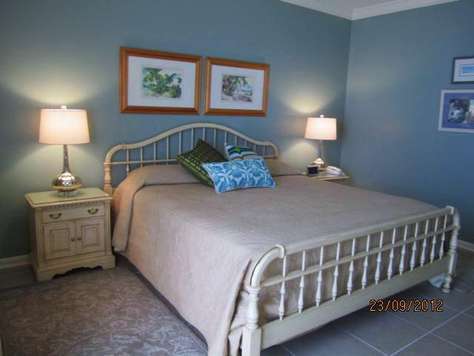 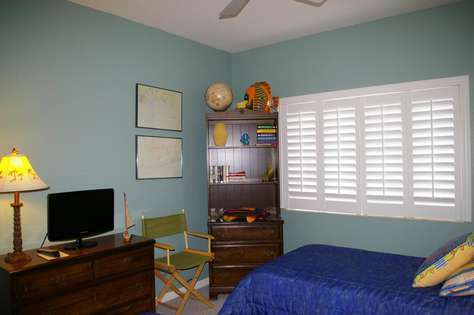 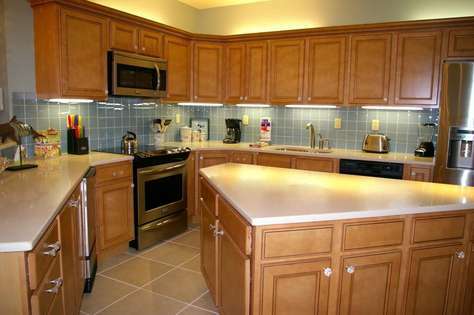 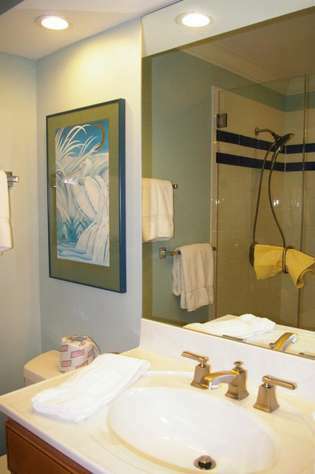 There are wonderful tile floors throughout except for the two guest bedrooms which are carpeted. 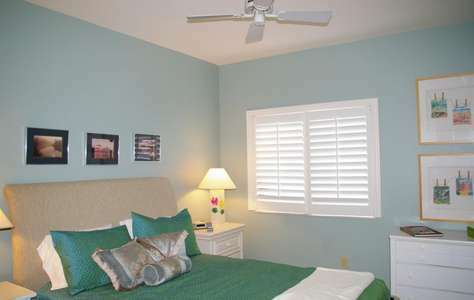 This unit sleeps six with a king size bed in the master, a queen in the second bedroom, and twin beds in the third bedroom. 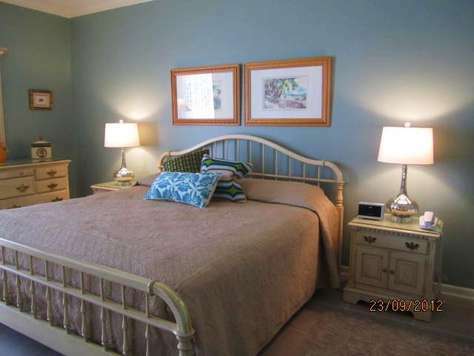 There are extra vanities and lavatories in each of the second and third bedrooms. 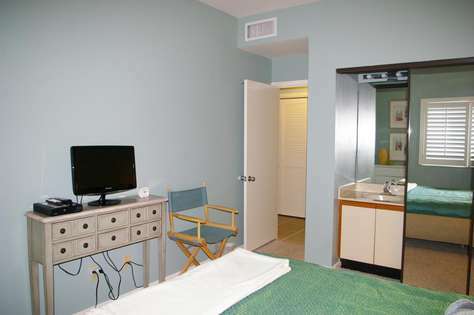 Unit includes a washer and dryer and also a designated covered parking space. 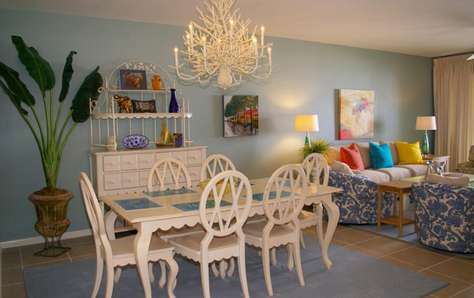 Internet at no extra charge. 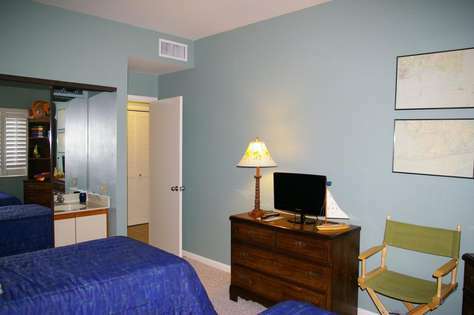 Conveniently located on the second floor convenient for using one flight of steps.